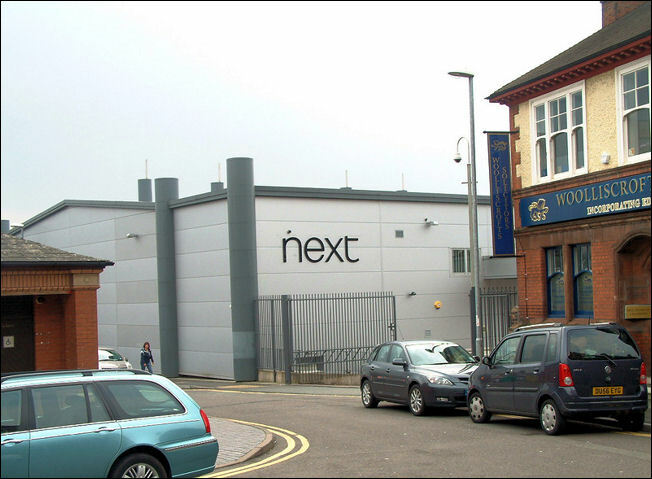 Podmore Walker & Co. were succeeded by Wedgwood & Co. (known for a short time as Podmore, Walker & Wedgwood c.1856-9). 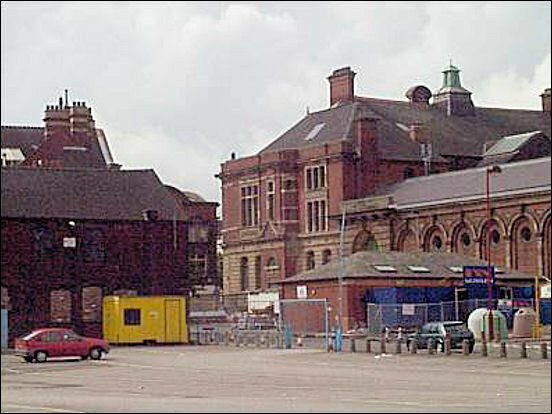 Wedgwood & Co. occupied two works - the Unicorn Pottery and the nearby Pinnox Works. 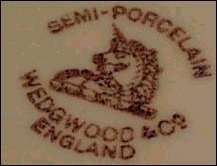 Wedgwood and Co. were the first to use the unicorn trade mark on their pottery. 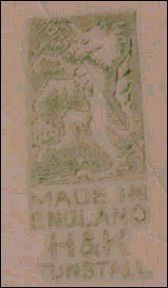 They continued to use the unicorn mark even when they had left the Unicorn Pottery factory. 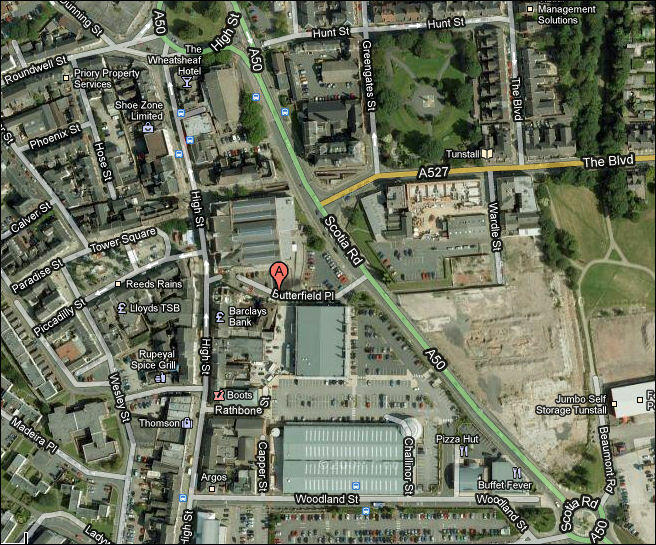 The Unicorn Pottery Works were rebuilt in 1890 and Hollinshead and Kirkham moved here from their Woodland Street works. 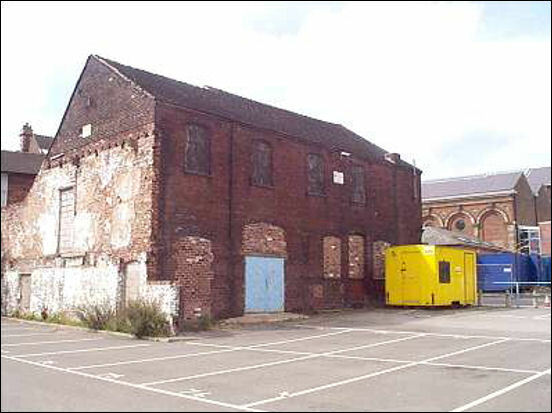 Hollinshead and Kirkham continued to operated here until 1956 when the works were purchased by Johnson Bros. (Hanley) Ltd. - who later were purchased by the Josiah Wedgwood Group. 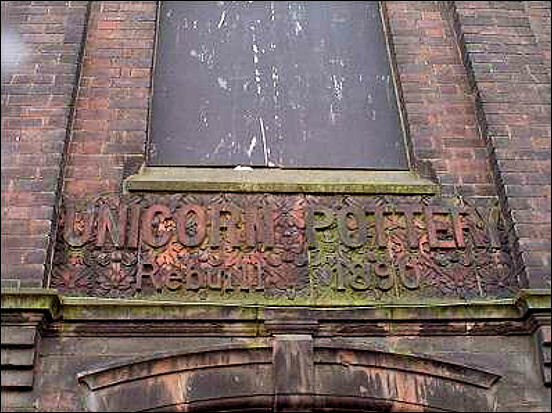 Unicorn Pottery....... "These were large and important manufactories of general earthenware, situated in Amicable Street and Great Woodland Street, ..... they were succeeded by Wedgwood & Co, the head of the firm being Enoch Wedgwood. The works were very extensive and gave employment to six or seven hundred persons, occupied an area of about an acre of ground and were among the most substantially built and best arranged in the pottery district. The goods produced were the higher classes of earthenware, in which dinner, tea, breakfast, desert, toilet and other services, and all the usual miscellaneous articles were made to a very considerable extent, for the home, Colonial, Continental and American markets. The quality of the "Imperial Ironstone China" - the staple production of the firm - was of remarkable excellence, both in body and glaze...... 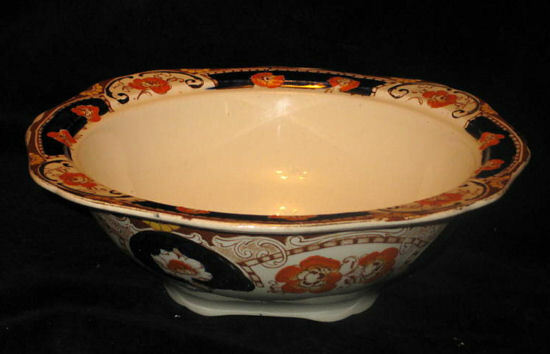 They also supplied large quantities of Ironstone china, specially made for the use of ships. 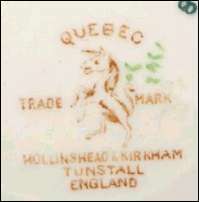 The Unicorn Works were entirely devoted to the production of plain white graniteware for the American trade." 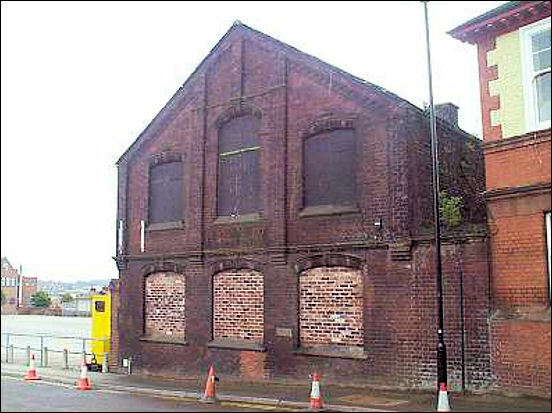 From 1872 to 1876 Hollinshead & Kirkham occupied the New Wharf Pottery in Burslem (previously occupied by J. Daniel & Co). 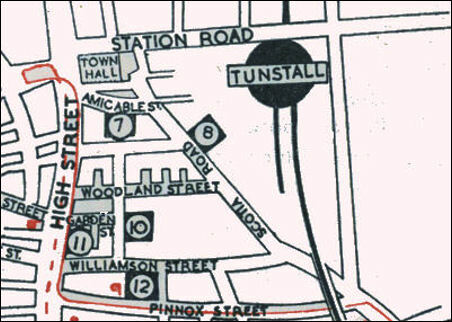 In 1876 they moved to the Woodland Pottery in Woodland Street, Tunstall - which was previously occupied by Edmund T. Wood (1860-75). 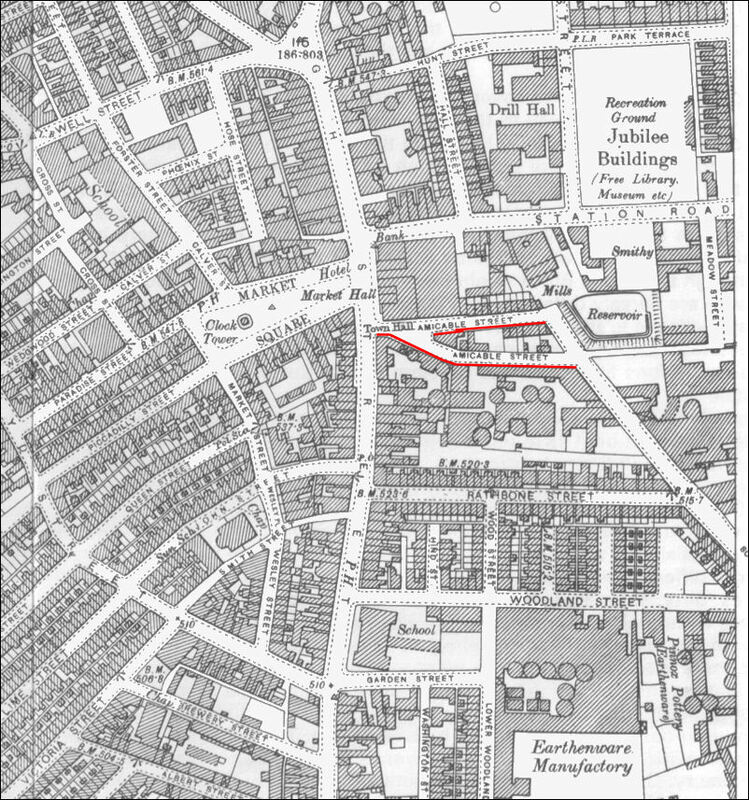 The Unicorn Pottery in nearby Amicable Street was rebuilt and in 1890 they relocated there. 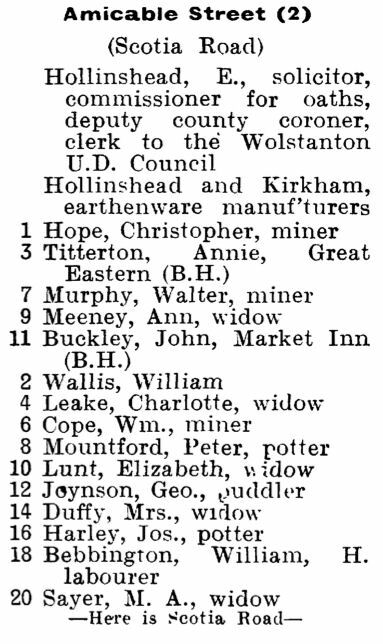 Hollinshead & Kirkham ran these works until 1956 when the works were purchased by Johnson Bros. (Hanley) Ltd. 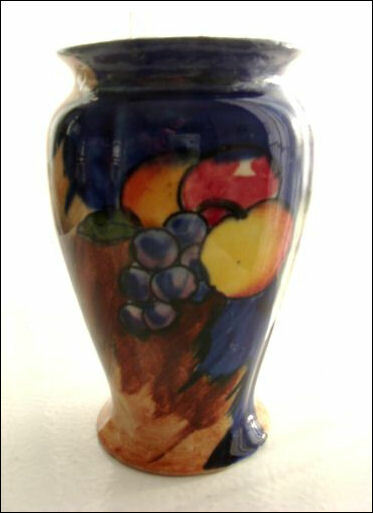 The famous Clarice Cliff was a lithographer at Hollinshead & Kirkham for 3 years, she attended evening classes in Tunstall and at the age of 17 went to work for another pottery company - A. J. Wilkinson. 8 Johnson Bros. (Hanley), Ltd.
10 W. H. Grindley & Co., Ltd.
11 Thos. Dean & Sons, Ltd.
12 A. G. Richardson & Co., Ltd.